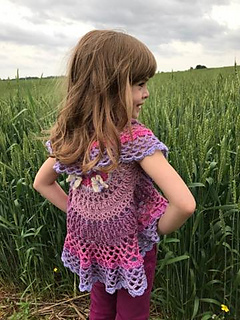 Little girls and butterflies, both flutter around carefree… The Girls Butterfly Mandala Vest was designed to match my Claire’s free spirit and I could think of nothing more fitting than incorporating butterflies. 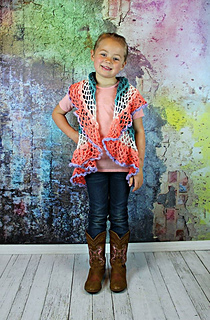 This 13 page written pattern includes over 3 pages of photos. 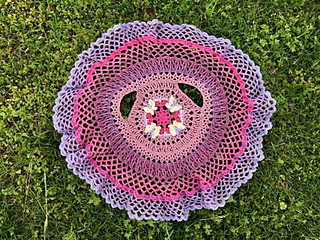 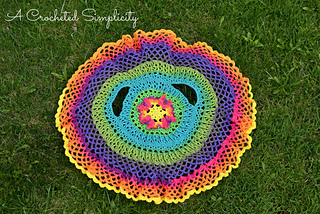 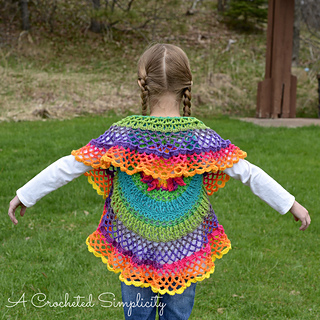 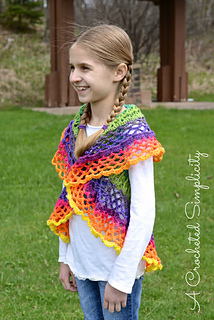 The pattern includes 4 sizes, XS, S, M & L.
Yarn: Lion Brand Mandala was used to make the sample in the photos. 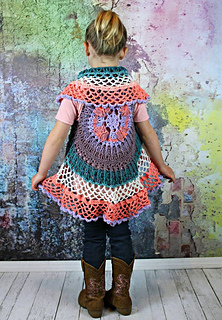 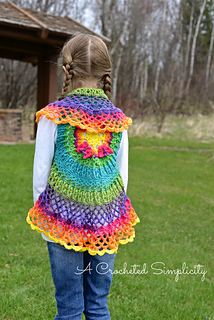 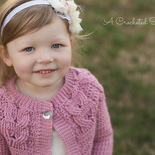 Vest design is an A Crocheted Simplicity original design.